The goy and the bicycling Jews headed down a foggy busy road for 17 miles. Then we stopped at the Bear Mountain Bridge that crosses the Hudson. Stunning views and pictures. We then rode up into the hills, with great climbs and descents. The sun was out, roads were nice, mountain air, it was great. Descents: Peter and Jim have been teaching me how to descend. Where to focus your eyes, leg positioning, how to keep the bike more upright. This may not be a good thing as I am now traveling faster down the mountains but it is indeed a rush. When we left Harriman State Park we were back into city traffic. I could swear we rode on an expressway for about four miles today. The boys didn't like it so we sped up to 25mph and were soon off it. I have begun to think that the biking Gods were good to me. This is in fact a daily race. Since I had so much bike trouble early in the tour I did not have a chance to try to ride with Jim. But Jim has intimidated all the other riders. When I ride up with him every body seems to just back away. 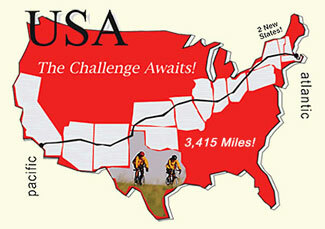 Extremely little know fact: We rode by the Silver Mine O map today where many a pizza brick have been consumed. 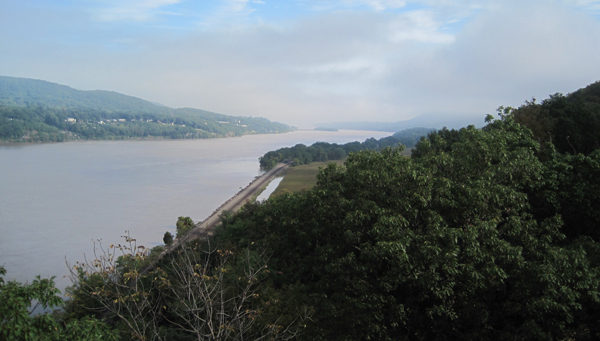 View of the Hudson from the Bear Mountain Bridge. 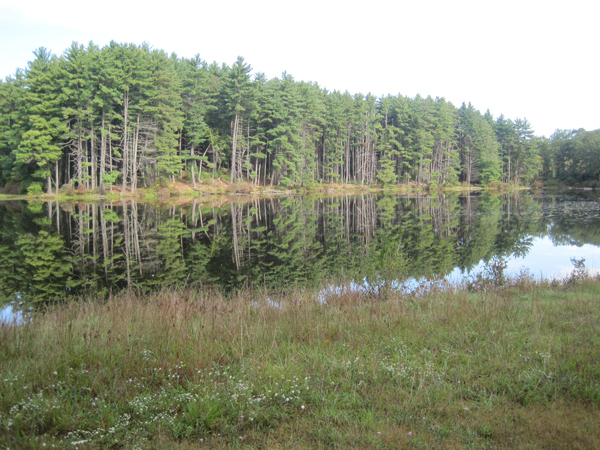 Reflections in a pond in Harriman State Park. 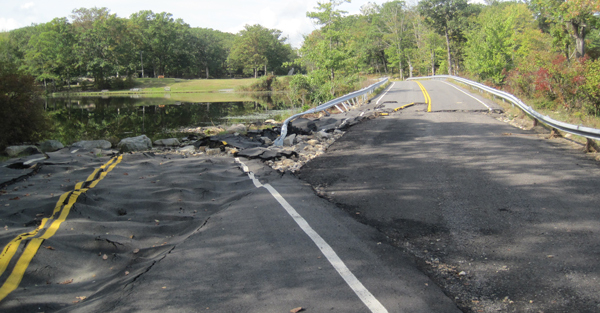 Tropical storm Irene damage. How did this road get moved like this? 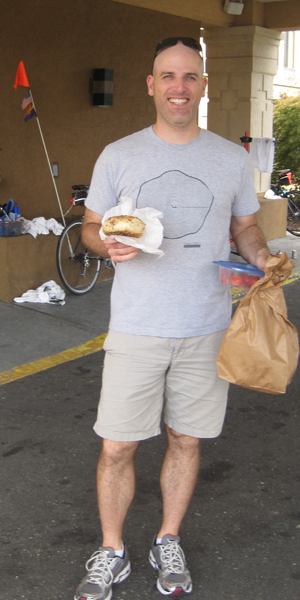 My nephew, Mike Newman, bringing much needed bagels from Brooklyn. It was great to visit with him. Hate to hear about all the bike problems. Hope all the gremlins are out of it now. Great country, isn't it? I surely miss riding in that area, and as you head through NJ I hope you can see some of the great cycling roads that most don't know about. Good luck, and continue having fun. Sent 2011-09-27 from peter b. That Irene damage pic is somethin. Love all the photos, keep it up! Sent 2011-09-26 from Dave N.
Great pictures. Makes me want to go back to NY To orienteer. Fall descended on us just after you left AA. Almost overnight the leaves turned and started to fall. Glad you are having a great time.